December birthdays can be celebrated with three gemstones; Zircon, Tanzanite, and Turquoise. All of these gems are best known for their beautiful shades of blue. Since the middle ages, Blue Zircon has been believed to help spiritual growth and wisdom. It is also said that if you wear Blue Zircon you will find beauty and peace. Tanzanite was first found around 40 years ago and does not have mythical or mysterious legends associated with it. Tanzanite is one of today’s most popular blue gemstones and comes in a range of blue and purple tones. Some stones have overtones of purple or shimmer lighter tones of lavender. And some are a deep, rich blue. 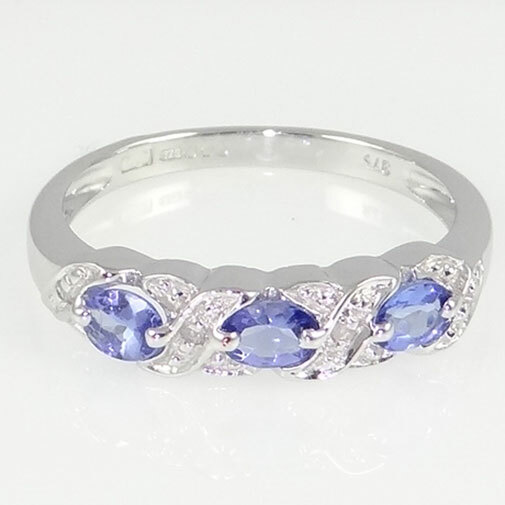 Tanzanite was added to the birthstone list in 2002, this was the first time the list had been changed since 1912. Turquoise was one of the first gemstones ever mined, it was worn in ancient times by the Egyptians. It is best known for it’s egg blue colour and is said to attract success, money, friendship, love, and luck. This entry was posted in Birthstones, Uncategorized and tagged december birthstone, December Birthstone Tanzanite, Tanzanite Birthstone Jewellery.